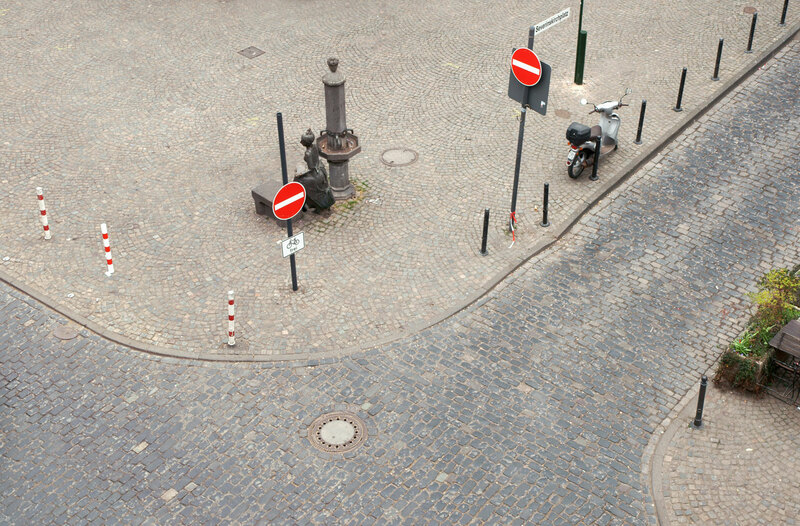 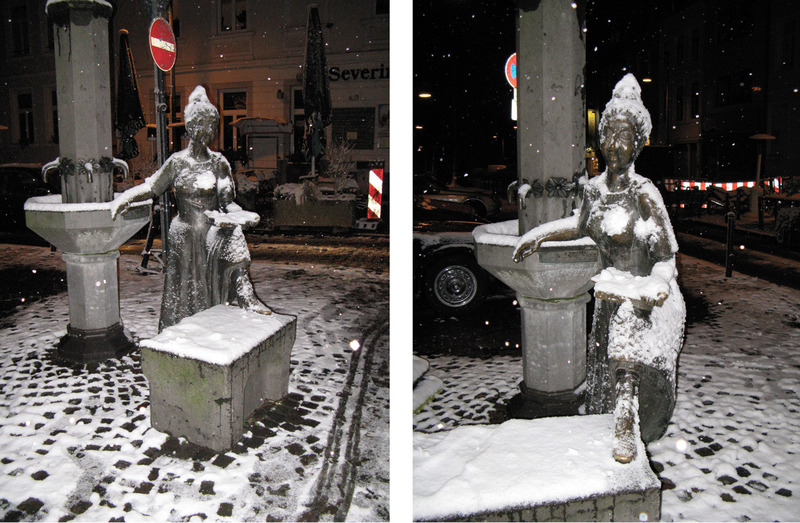 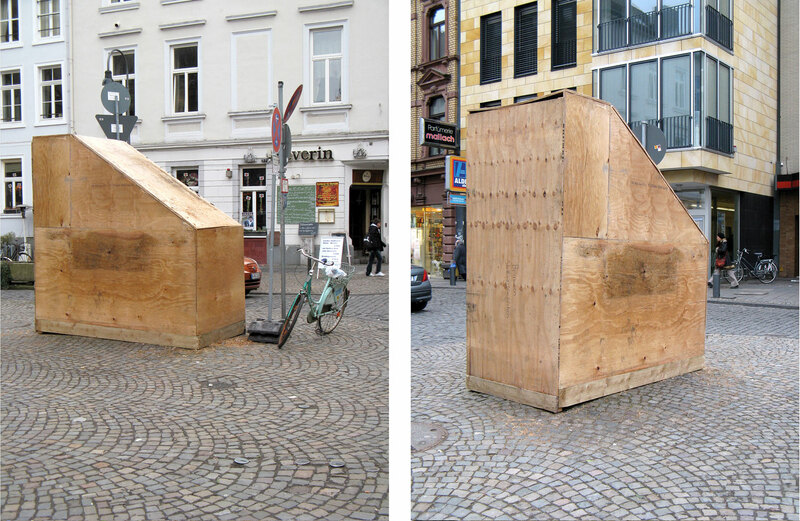 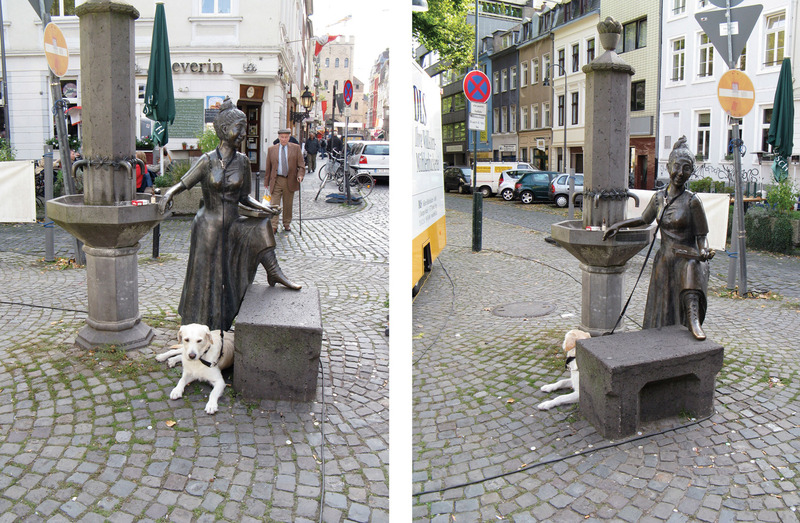 A photograph-based, long-term observation of a sculpture in public space. 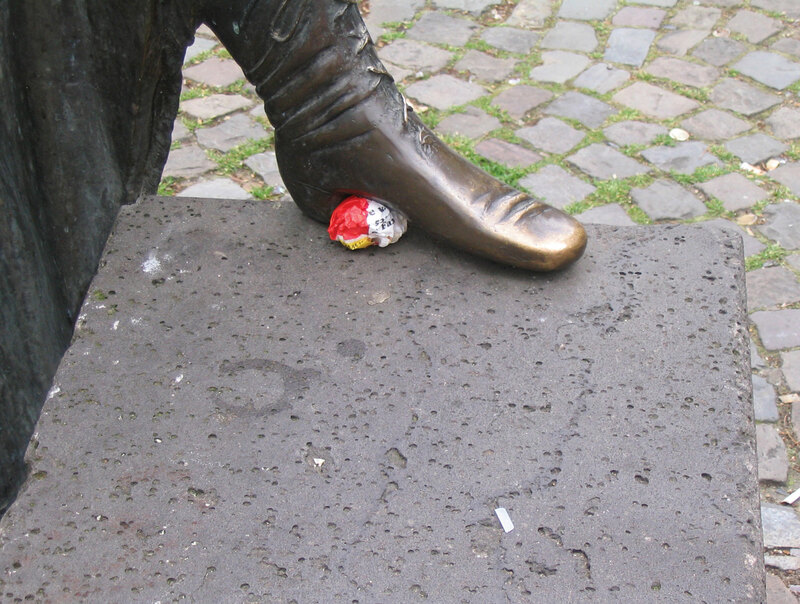 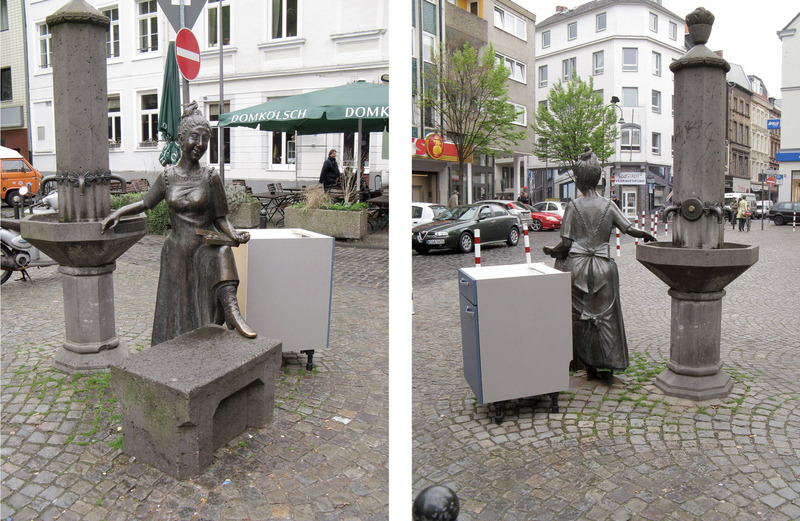 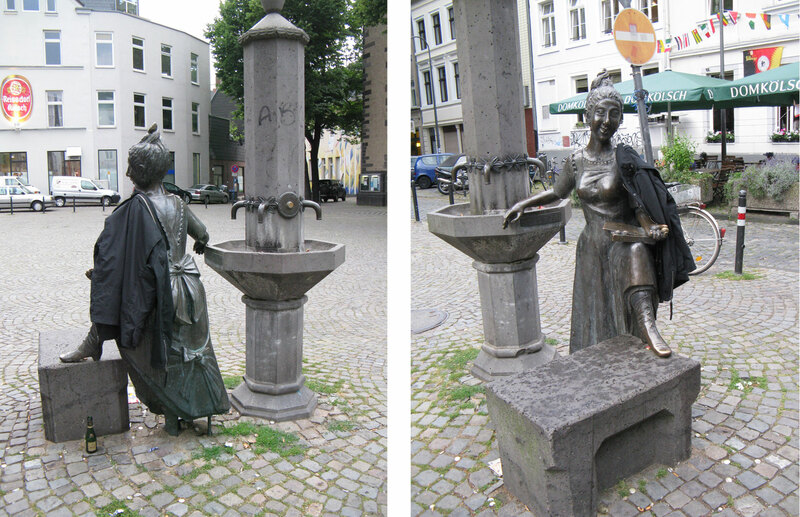 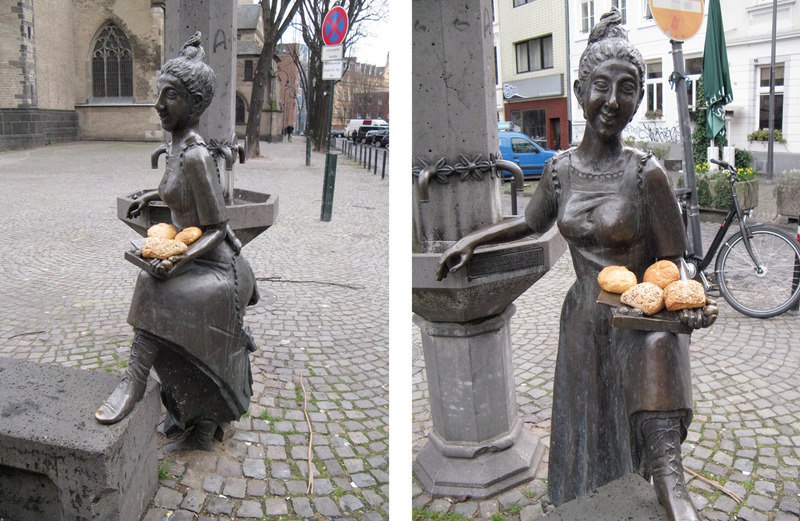 The life-size bronze figure is a tribute to female workers at the Stollwerck chocolate factory in Cologne around 1900. 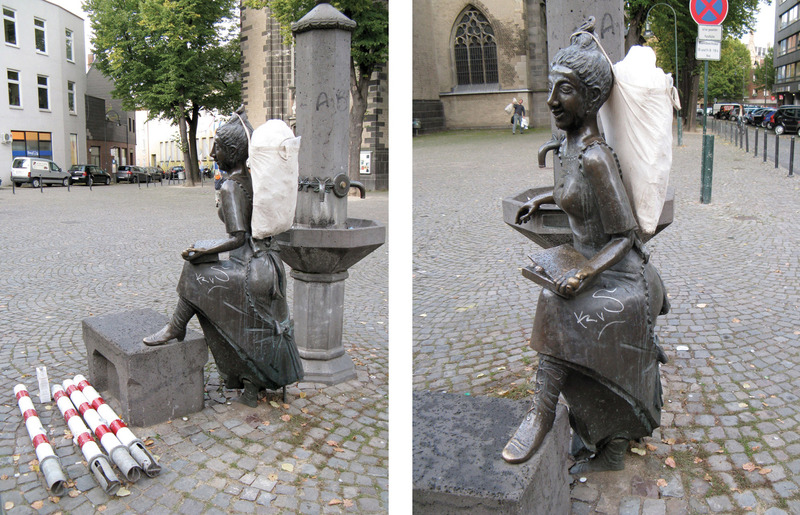 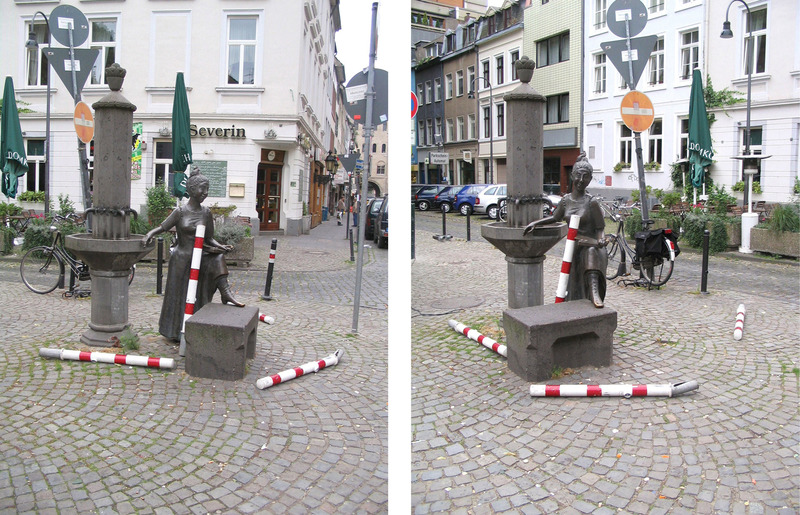 The figure is located at the corner of a large, lively square in Cologne and its concrete pedestal offers the only seating in the immediate area. 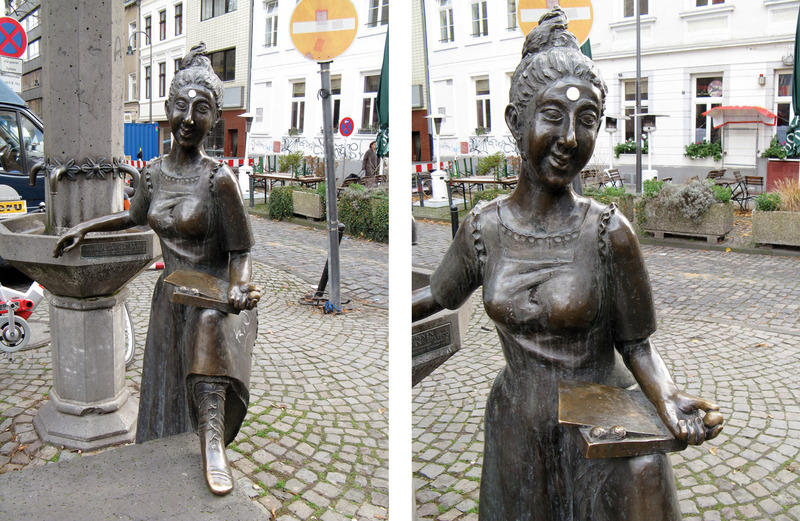 The statue is constantly being extended, manipulated and added on to by passersby or those using the sculpture to rest.